Ah, jury duty. For some, it evokes thrills of civic engagement, for others a sense of annoyance and dread. Regardless of your level of enthusiasm when your summons arrives, at the very least serving jury duty in downtown Houston can be a good opportunity to check out some of the city's best eateries. 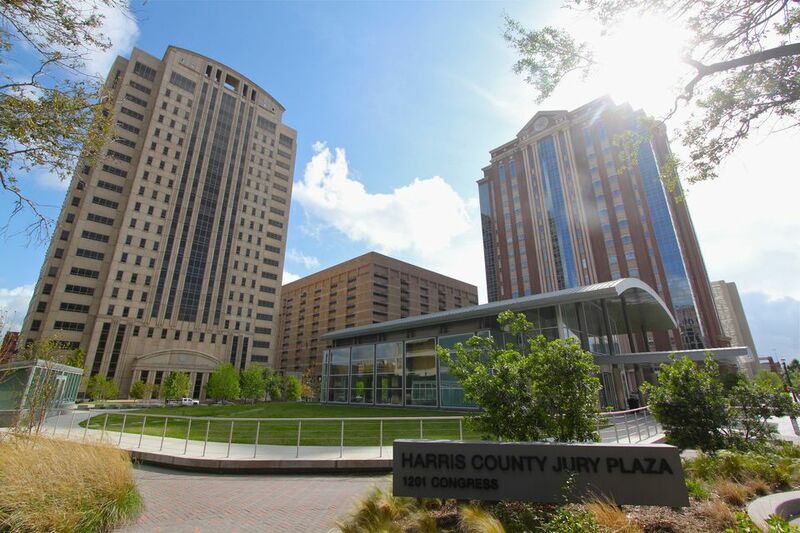 Whether you're grabbing breakfast beforehand, a quick lunch to-go or dinner after a long day of voir dire, check out one of these great places near Houston Municipal Courts and the Harris County Jury Plaza downtown. The Conservatory is a food hall located underground in downtown Houston just a few short blocks from Jury Plaza. Choose food from a half-dozen vendors serving a wide variety of cuisines — from poke tempura to pizza to desserts — meaning you can start with a caesar salad, grab some brisket tacos and then top it off with a cookie butter crepe. The world's your oyster. While The Conservatory can certainly hit the spot for lunch, it's also a great happy hour spot to unwind after a long day of jury duty. In addition to the food options, there's also a beer garden, featuring dozens of local draft beers. Every day from 3 - 7 p.m., draft pours are only $4. Home to easily one of the best burgers in Houston, Stanton's is conveniently located about a 10-minute walk away from the City of Houston Municipal Courts and a mile and a half from the Harris County Jury Plaza. In addition to a wide selection of burgers with varying levels of cheese and fixings, you can get grilled chicken, tuna salad, or portabella mushroom sandwiches, or opt for something lighter like a salad. If fries are your thing, Stanton's has eight different varieties, including in waffle cut or topped with bacon and cheese. Possible combinations abound. Tip: There sometimes is a bit of a wait, so call ahead if you need to grab your burger quickly and go. For a slightly healthier option — or just a really good cup of coffee — try out Paper Co. All the food is prepared from scratch with fresh ingredients, and the coffee is roasted on site. The breakfast power bowl — made up of grains, kale, eggs, goat cheese and beans — is as filling as it is tasty, and will tide you over in the event you don't get a break for lunch. Paper Co. opens early, making it easy to grab a quick bite and still make it on time to your summons. If you do decide to swing by for lunch, the cafe offers a Common Meal option where any contribution above the suggested price will go to help pay for meals for those who are unable to pay themselves. The meal changes from day to day, so be sure to ask the barista for the day's special if you're interested. The cafe is adjacent to a large church, and there's plenty of parking in the back of the building. If you're in a hurry, though, it's best to call ahead. Food can take a while to be served, but you can always get it to go. If you're at the Harris County Jury Plaza, Rachel's is your best bet. Not only is it just a couple of blocks from the plaza, but the menu offers a wide selection of American dishes all made to order. While this spot is known for its delicious burgers, it also serves a variety of sandwiches, salads and sides. The melts, in particular, are a must-try. Served on thick, buttery Texas toast, the tuna melt or grilled ham and cheese are immensely satisfying and are more than enough to hold you over through a long afternoon. Service is typically pretty quick — even during lunch rush — but if you're in a real hurry to get back, you can always order ahead online for pickup. Best of all, Rachel's is remarkably cheap considering its prime downtown location. A lunch combo with a grilled cheese sandwich, fries and a drink clocks in at under $10. Foodies love Local Foods. As the name suggests, the dishes are made using fresh, local ingredients from Houston-area favorites like Slow Dough Bread Co. and Atkinson Farms. The menu features a good selection of healthy yet hearty options like the quinoa burger, truffled egg salad, and smoked salmon sandwich. While you won't find fries as a side option, the scalloped potato salad or the housemade chips with Old Bay seasoning are a delicious substitute. Local Foods is about a 5-minute walk from Jury Plaza and less than a mile from the Municipal Courts. While lines move fairly quickly, it does fill up around the lunch hour. Save some time by ordering ahead for pickup online.